Film 4 FrightFest and 4Digital Media are delighted to announce the UK premiere of IRON SKY: DICTATOR'S CUT, ahead of its special collector's STEELBOOK DVD release on February 10th 2014. 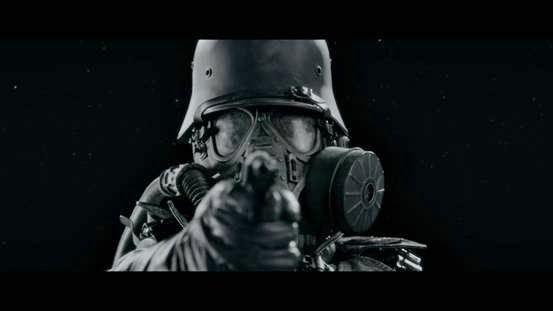 IRON SKY: DICTATOR'S CUT - featuring an additional twenty minutes of never seen before footage, will screen with Director Timo Vuorensola and Producer Tero Kaukomaa in attendance at a special one off event at the Prince Charles Cinema, Leicester Square on Saturday 1st Februay 2014 at 6.00 PM. The films director Vuorensola said, "This is the cut that I always wanted for the film - I can't wait for everyone to see this version, it's crazier,bigger and more fantastical than the first!" On behalf of Film4 FrightFest co director Ian Rattray added "FrightFest are very pleased to be co-hosting this event with 4Digital Media.. We know our fans will love this event and it's always a pleasure to be back at the Prince Charles Cinema - FrightFest's spiritual home"
IRON SKY, a partly fan funded feature, stormed box office charts last year causing widespread buzz for perhaps one of the most surreal storylines in cinema history. This new DICTATOR'S CUT is bigger and better, with this one-off screening followed by a Q&A with the director and producer team behind IRON SKY.